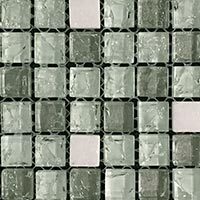 These glass mosaics have a brick style and provide walls with a unique look. 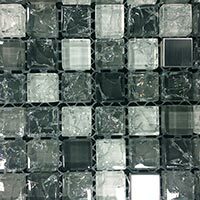 Silver Mirrored Glass tiles can be used to stunning effect as part of a backsplash or feature in bathrooms. 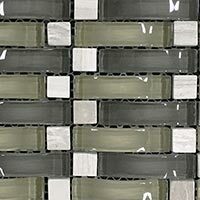 They are perfect for providing a focal point above bathtubs and in shower areas. 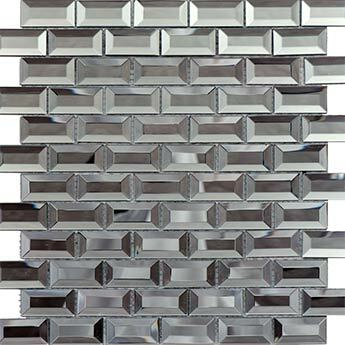 Light reflects off the surface of these mirror glass mosaic tiles to provide any interior with a distinctive element. 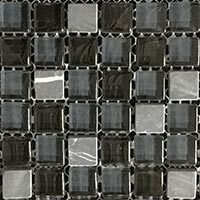 They combine superbly with standard tiles including popular options like polished black and white varieties. 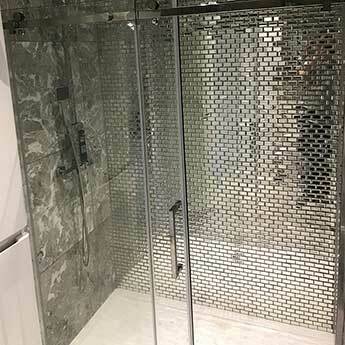 If you are interested in transforming your interior layout with a glass mosaic wall design then we highly recommend that you order a sample for a closer look. 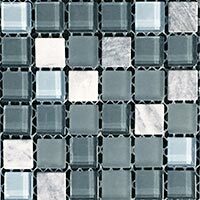 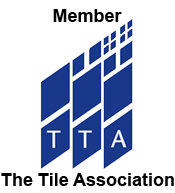 In addition to home designs, these tiles are also suitable for shops and cafes.